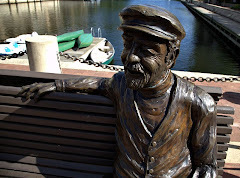 Restonian: News blog from Reston, Virginia, the mauve-colored New Town (tm): Tweet This! So in the spirit of Reston as a cutting-edge tech center, we're on this thing the kids keep talking about, the "Twitter," so be sure to "follow" us, or whatever. This site will probably be more entertaining in 150-character morsels, anyway.